The History of Acoustic Defence. Following the air raids of WW1, Britain was left with no effective warning of the approach of enemy aircraft, other than the human eye and ear. 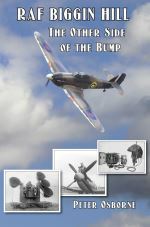 Acoustic Defence was based on battle field gun ranging and used highly developed technology to track aircraft twenty years before the emergence of RADAR. 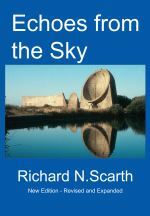 Tangible remains of these ‘sound mirrors’ can still be visited around the UK and ‘Echoes From The Sky’ offers the clearest understanding of their development and design. Often known as the ‘Most Famous Fighter Station’ in the World’, Biggin Hill has a rich and virtually unknown history behind the scenes. With the Wireless Testing Park established at Biggin Hill in 1917 the RAF Wireless Experimental Establishment was consolidated there on the formation of the RAF in 1918. Developmental work continued on wireless telephony and Radio Direction Finding (RDF) – resulting, among many other things, in the first air to air telephony and a radio guided flight to Paris above cloud cover. 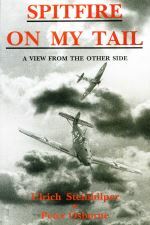 “Spitfire On My Tail” is the detailed account of how one German grew up and joined the Luftwaffe as a career officer and airman. It was written by Ulrich Steinhilper who was an Oberleutnant with JG 52 (52nd Fighter Wing) based at Coquelles near Calais. If you have any questions or feedback then please head over to the contact page. Delivery: Please note that postage is based on delivery to a UK address. For orders up to £30 a post and packing fee of £2.99 will be added at the checkout. For orders from £30 - £50 it will be £4.99 and shipping for orders over £50 is free. For delivery to other locations, please contact us directly to order.